Presentations to the emergency department with eye complaints are not uncommon, but many junior doctors, depending on previous exposure, have limited experience in ophthalmology. To bring you up to speed, check out these resources outlining the basics of eye anatomy, innervation, and examination. Check out this video and our own guide demonstrating the use of a slit lamp. This guide describes several of the drugs you might use during your examination. 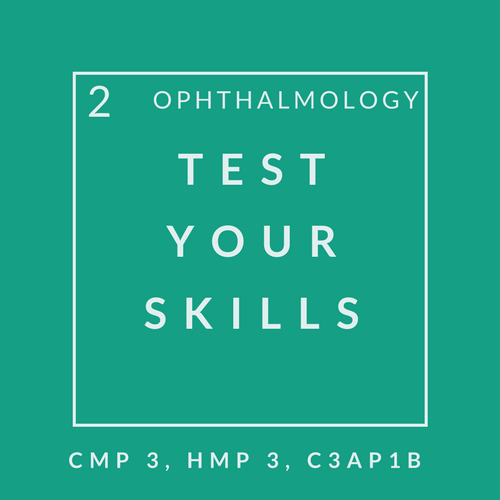 The bulk of our opthalmological presentations consists of corneal abrasions, conjunctivitis and ocular foreign bodies, with chemical exposure to the eye a little less common. Do you feel confident removing foreign bodies? Also take a look at our summary of chemical exposure. Also see our teaching on the red painful eye, and ocular trauma. Can you list the differential diagnoses for painless visual loss? Although relatively less common than the red eye, this is often in the FRCEM exam! There are few emergency procedures related to ophthalmology in the emergency department, but lateral cathotomy to relieve pressure from orbital compartment syndrome is one of them. If you think the procedure is needed first discuss with your consultant and contact ophthalmology immediately. Watch this useful video by EM:RAP, and have a look at our St Mungo's guide over on the Skills & Drills section.